E- Liquid or eJuice is the fluid that fuels the Electronic Cigarette. It is what provides the nicotine solution and the flavoring to your Electronic Cigarette. It is the vapor in which you exhale that simulates the traditional tobacco smoke. Is there nicotine in E-Liquid? Some eJuice contain nicotine and some are nicotine free. What different strengths does E-Liquid come in? E- Liquid is offered in 5 different strengths. Depending on how many traditional cigarettes you consume daily, will depend on how much E- Liquid you will consume. Smokers who indulge in a pack and a half a day will generally use around 15 ml a week. E-liquid uses base ingredients to create a smooth flavor. This base can consist of PG, VG or both. PG (Propylene Glycol) and VG (Vegetable Glycerin) are combined with natural or artificial flavors to create unique and satisfying recipes. Propylene Glycol is used as a flavoring carrier in food products, as an ingredient in food coloring and also used as an additive in various medicines. A combined base of PG/VG blend is much more smooth then 100% PG base. Propylene Glycol is non toxic. Vegetable Glycerin is a sweet, thick, vegetable based liquid. 100% VG base is very thick and hard to smoke effectively. A combined PG/VG blend is recommended. Vegetable Glycerin is non toxic. 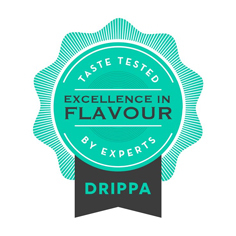 Is the e-Liquid created using only premium ingredients and flavorings FDA approved. Diacetyl: This ingredient is used to create a buttery flavor. Diacetyl may be hazardous when inhaled over a long period of time. None of the premium e-Liquids contain this harmful ingredient. The extremely high quality control standards on these suppliers ensure the selection of the highest quality food-grade flavoring ingredients. Ensuring that the premium e-Liquids deliver fantastic flavor and vapor with every puff. What are the key components to the E-Liquid? Taste is the first sense heightened when smoking an Electronic Cigarette. Some enjoy menthol; some enjoy traditional flavors, while others enjoy fruity or sweet flavors. For some smokers the most important factor is the sensation you get when the nicotine hits the back of your throat while inhaling. E- Liquid, depending on the strength and flavor you decide to buy will leave you with this sensation. What is the vapor from the e-Liquid like? The vapor produced is the smoke-like substance that is exhaled when smoking a Electronic Cigarette. E-liquid provides a consistently thick vapor giving you the same feeling and look you would get when exhaling a traditional cigarette.